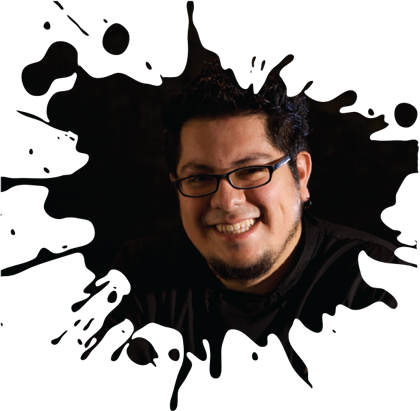 Born and raised in Mexico City, Adrian Becerril Garcia knew he wanted to be a chef from a young age when his father told him chefs were wise and deeply cultured souls who know, not only about food, but about wine, art, music and travel. So he set his heart on being a chef but was waylaid in his teenage years, when he decided to become a long-haired, rock listening, graffiti creating, Che Guevara loving philosophy student. During this phase of his life, Adrian started to read about Ferran Adria and was deeply drawn to the groundbreaking Spanish chef and his use of science combined with gastronomy. After studying Culinary Arts in Mexico City, Adrian decided to specialize in Spanish food and culture and headed to Seville to continue his studies. Once he finalized his studies, Chef Becerril-Garcia headed for the Canary Islands to take up his first internship at a Michelin starred restaurant, MB, the island offshoot of the San Sebastian 3-star Michelin belonging to renowned Basque Chef Martin Berasategui. Chef Adrian then headed back to Mexico City to work under the tutelage of Francisco Mendez, a disciple of Ferran Adria. After which he moved on to the Czech Republic to take up the reins of Ristorante Casanova, where Adrian got to work with Italian cuisine while laying down his culinary ethos of having every menu item made in house, including their celebrated pastas. In 2012 Adrian arrived to Dubai to revamp the long established Elements Restaurant in Wafi City and to launch Burger Rebel. So what are Chef Becerril-Garcia's thoughts on Dubai so far? He says he is happy to be in an urban, cosmopolitan environment since that is more like his beloved Mexico City. "Dubai is young, vibrant city - always growing and open to new things. It is perfect for our little culinary rebellion", concludes Chef Adrian witah a cheeky smile.